The Jacksonville Port Authority (JAXPORT) set a new port record Monday with the arrival of the ZIM vessel Cape Sounio, the largest container ship to ever call Jacksonville. The 11,000-TEU (container) vessel is operated by ZIM on a service offered by the 2M alliance. The 2M alliance is comprised of Maersk, MSC, Hamburg Süd and strategic partners HMM and ZIM. The vessel, which transited the Panama Canal from Asia before reaching the U.S. East Coast, loaded and offloaded cargo at JAXPORT’s Blount Island Marine Terminal. 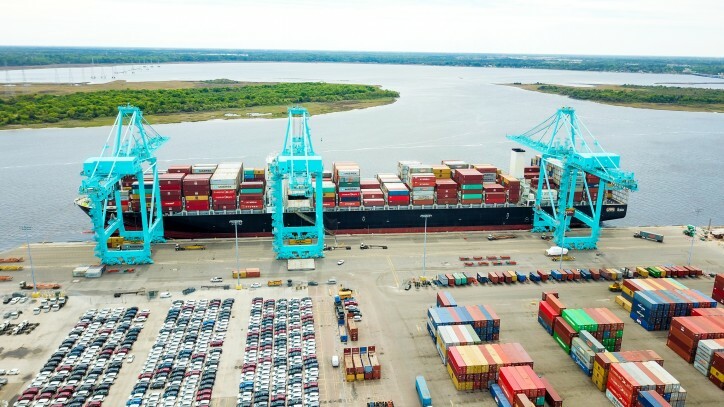 The ship’s arrival comes two weeks after JAXPORT and terminal operator SSA Atlantic reached a long-term agreement on a state-of-the-art, $238.7 million international container terminal at Blount Island. The terminal will have capacity for approximately 80 acres with the potential to grow up to 120 acres. 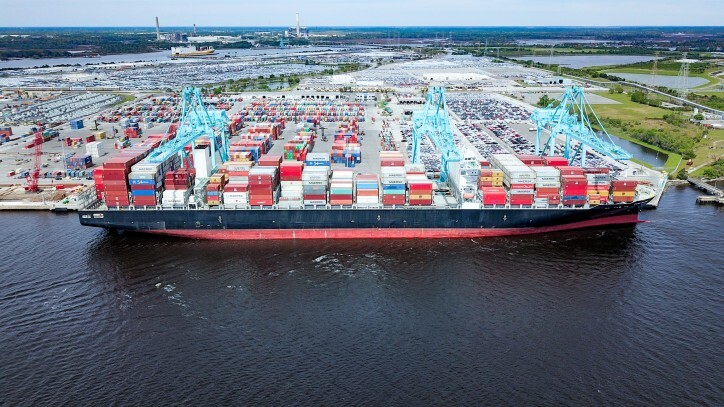 The Jacksonville Harbor Deepening project will offer 47 feet of deepwater access, allowing vessels like Cape Sounio to call JAXPORT more fully loaded. The project is scheduled to be complete in 2023, based on continued funding from all partners, and includes the addition of a vessel turning basin. JAXPORT is also investing $109 million in berth rehabilitation and upgrades which are already underway and will allow the terminal to simultaneously accommodate two post-Panamax vessels. Jacksonville is Florida’s No. 1 container port complex by volume offering worldwide cargo service aboard the world’s major shipping alliances with direct service to Asia, Europe, Africa, South America, the Caribbean and other key markets. Florida is now the nation’s third most populous state – and more than 70 million U.S. consumers live within a one-day truck drive of Jacksonville’s port. JAXPORT terminals are serviced by three U.S. interstates (I-10, I-95 and I-75), and the city has 40 daily trains via three railroads.